Associated with the infamous Bermuda Triangle, Bermuda is a British colony situated off the east coast of the United States. It is also a popular destination for tourists who are fond of travel over crystal-clear waters, fine sands and captivating beaches. Expats moving to Bermuda for work purposes may be pleased to know that this British territory does not impose income tax on employees, making it a famous tax avoidance location. Bermuda is an isolated, small island in the middle of the Atlantic Ocean with around 64 thousand people living on it. The nearest land is North Carolina, which is around 640 miles away. When the island was discovered by the Spanish explorer Juan Bermudez in 1505, there was nobody living in it. The Spanish left some pigs on the island. But did not try to settle there; it was considered to be an island of devils. In 1609, a ship of English colonists en route to Jamestown Virginia was shipwrecked there. This real story became the idea behind the famous play by William Shakespeare, the Tempest. 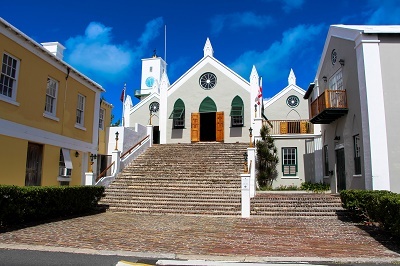 They eventually built new ships and returned, but three men were left behind, and 60 more arrived in 1612 to build the town of St. George, which is still the capital city of Bermuda. Bermuda is not an independent country but is an Overseas Territory belonging to Britain. However, it has had its parliament since the year 1620. The national currency had been the Bermudian Dollar, pegged at equivalency with the United States dollar, since 1970 when it replaced the Bermudian Pound. The language spoken on the island is English. The historical influx of Afro-Caribbean from other English speaking areas has resulted in their forming much of the population and contributing much to Bermuda's culture. There are a lot of hurricanes that hit Bermuda. The country is known for having beaches with pink sand. Bermudans traditionally fly kites on Good Friday. There are also traditional dancers called Gombey dancers who wear bright and colourful costumes. Cricket and golf are popular sports in Bermuda. Bermudian cooking uses fish as a primary ingredient. There is an 88 year old man in Bermuda named Johnny Barnes who is famous for standing at a Hamiton roundabout every workday morning calling islanders by name and telling them he loves them and God loves them. He has been doing this ever since the year 1986 and is so well loved by Bermudians that he even has a statue in his honour. It is also considered impolite in Bermuda to ask for directions without first saying Good Morning or Good Afternoon. Bermudans are also conservative and Christian people. Bermuda shorts are worn as a part of formal attire with a tie and a jacket. Men often dress this way day and night in spite of the heat, and women in Bermuda generally wear stockings and heels year round. If you are already decided to relocate where the famous pink-sand beach of Horseshoe Bay is, you should start going through these important things right away. There is a wide choice of properties in the market. But since the island is small, Bermudians are given first priority when it comes to renting or buying a property. You can contact local realtors since they are more familiar with the place and policies. Though there are newspapers, online adverts and local real estate agents, the most efficient way to look for a house/apartment is to ask expats who are already living on the island. 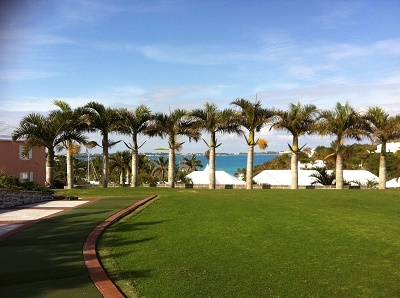 Bermuda has a tight community so locals will immediately know that you are new and are helpful enough to lend a hand. Always include in your budget planning an extra amount for utilities since it might not be included in your rent. The average monthly cost of your services like electricity, gas and water is 300€. Your internet connection of 10mbp is about 120€ per month while a minute of local prepaid call is 0.25€. The most typical types of housing for expats is apartment-style home, condo and single-bedroom apartments attached to the house of the landlord. A 2 bedroom apartment in an excellent condition typically costs around 3,000€ per month while a three bedroom apartment is around 4,800€ per month. You will find a huge number of expats living in Pembroke, location of Hamilton which is the city capital of Bermuda. Life is very convenient here since you will be close to the main shopping centres and the business district. You should also be prepared that the rental cost in Hamilton is more expensive than those in neighbouring areas since it is the heart of the island. Another area that you can consider is Devonshire, just east of Pembroke Parish. It has more outdoor spaces and laid back vibe compared to Hamilton. It is famous for the Devonshire Dock which is always crowded with people because of the wide variety of fresh fish. So if you are a seafood lover and wants to live quietly but still conveniently near the city, Devonshire is the best place for you. It is mandatory in Bermuda that children age 5 to 18 should be enrolled in an educational institution. There are international schools such as Saltus Grammar School and Somersfield Academy that you can consider since their curriculum is suited for expat students. 60 % of Bermudians are attending state schools where the education is free. The most established local school on the island is the Bermuda College. There are many trusted international and local based removal companies that you can ask for help when shipping your belongings to Bermuda. They will assist ou every step of the way until your packages are delivered to your new home. The shipping time varies for every originating location but the average period is between 3 – 9 business days for delivery. All containers arrive in Port Hamilton, the largest port in Bermuda. Domestic animals like dogs, cats, fish, birds, etc. are welcome in Bermuda, which is a guaranteed rabies free place. However, you still need to provide your pet’s Import Certificate, which you can get in advance from Bermuda's Department of Environment Protection. A health certificate issued ten days before your arrival by a licensed veterinarian from your country is also required before they clear the animal for entry. You should make sure that you have all these documents upon import. Failure to do so means that your pet will be returned on the same flight. The car should not be more than six months old at the time of transportation, and you should be its first owner. Your car should also meet the country's specifications and physical requirements. The maximum allowed length is 175 inches; width 71 inches; engine capacity 2,500 cubic centimetres and the power to weight ratio is 10.5 kilogrammes per kilowatt. Legally referred to as the Bermudas or Somers Isles, the island of Bermuda is known as the Jewel of the Atlantic, having been voted as the best island in the Caribbean 18 times since 1994. Bermuda features strong British influences, although a Portuguese is also spoken by a portion of the population. With a subtropical climate and attractive beaches, expats will find plenty to enjoy as they live and work in the country. Bermuda’s splendid, cerulean waters and awe-inspiring sites enchant millions of foreign visitors every year, 85% of which come from the United States. This British Overseas Territory is also a famous tax sanctuary for several companies worldwide, as well as wealthy individuals who wish to avoid heavy taxation in other jurisdictions. However, foreign nationals aspiring to land a job in Bermuda may find the journey a challenging one due to the priority given to Bermudian nationals regarding employment opportunities. The economy of Bermuda is highly dependent on two dominant sectors – tourism and international financial services. As of 2012, 21% of the labour force population in the country is employed in the professional & technical sectors, followed by the clerical & services sector at 19%, labourers at 17%, administrative & managerial sectors at 15%, sales sector at 7%, and agriculture & fishing at 3%. 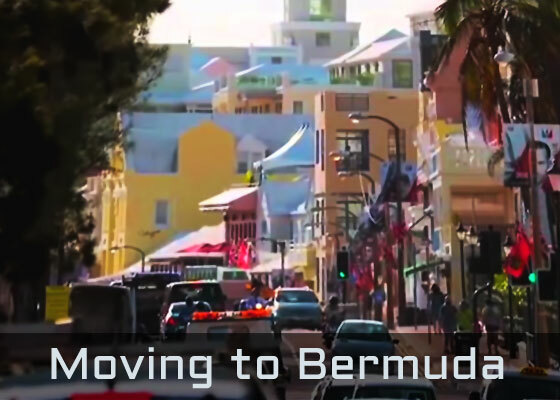 About 29% of the total population in Bermuda are foreign nationals, most of which reside in the capital, Hamilton. Some of the industries and sectors that offer employment opportunities in Bermuda include Accounting and Auditing, Banking, Construction, Insurance and Reinsurance, and Information Technology. Acquainting with the Bermudian nationals in an office setting and, in general, is not difficult because the island’s official language is English. 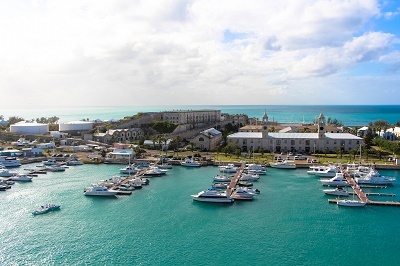 For foreign nationals who are planning to enter Bermuda as a tourist and then find employment, it is strictly prohibited by the local government. Aspiring foreign workers must find a prospective employer first who can apply for their work permit at the Bermuda Work Permit Authority before they can come to the island for employment purposes. However, expats should take note that even before a prospective company can hire them, the company is required to find a Bermudian candidate first before offering the job position to a foreign national. This is the government’s initiative to protect the local job market. Work permits granted to fortunate expats are valid for one year, with a maximum of five years. In the event that a foreign employee is dismissed from work for certain reasons, they will be required to leave the island as residence in Bermuda is only as good as the work permit of a foreign national is valid and approved by the government. Another way of gaining residence or permission to stay on the island is if a foreigner marries a Bermudian national. It is allowed since March 1st 2015 for expat with a work permit to come in the country with their family (wife, husband, unmarried partners or children) together. The Department of Immigration make verifications to be sure the relationship is real (read more about the amendment). Bermuda has a general work week of eight hours a day or forty hours per week. Any work that is in excess of the forty hours must be duly compensated by the employer at 1.5 times the employee’s basic pay. A normal workday in the island starts at 9AM and ends at 5PM, Mondays to Fridays, with an hour for lunch break and at least 24 hours of consecutive rest every week. Employees who have been working for a year are entitled to have two weeks of vacation and eight days paid sick leave per year. Pregnant employees are entitled to eight weeks paid and four weeks unpaid maternity leave after one year. The country have no free medical care but employers have to provide a local health insurance to their employees (for locals and expats). Read more about health protection in the country. Despite the controversial and mysterious Bermuda Triangle, this group of mesmerising tiny islands in the North Atlantic is becoming a favourite destination for expats from all parts of the world. Bermuda has a unique mixture of British and American culture, so it will be easy for you to adapt to the locals and the community. Bermuda is a perfect place for expats who love pristine beaches. The weather is warm, and the sun shines all year long so be prepared to have a gorgeous permanent tan. What for others is just a brief Caribbean getaway will be a seemingly unending vacation for you on the most beautiful island in the Atlantic.